Love Your Town is the latest Halifax Courier campaign. Council chiefs have applied for a £10 million government-backed Small Towns Fund which would help revive our high streets. Mark Thompson, Calderdale Council’s Director – Regeneration and Strategy, has said the investment fund for regeneration schemes is pencilled in for smaller towns and communities across the borough from next year. It will be used when Government funding for local authorities over the next few years has been confirmed, subject to its affordability within the Council’s overall budget position. Mr Thompson said: "We want all of our high streets across Calderdale to thrive, and supporting them is a long-standing priority. "We have already put in place other funds to support town centre investment ideas that come forward from the community, businesses and Town Boards. Brighouse campaigners could apply to use some of the fund for a regeneration of its current outdoor market - an idea put forward by ward councillors. In a full Calderdale Council meeting last Wednesday at Halifax Town Hall councillors discussed the fund, as John Greenwood reports. Conservative Group Leader Coun Scott Benton (Brighouse) agreed to adopt part of a Labour amendment that differed in wording from his original motion and the end result is a united front from all parties as far as regenerating and promoting high streets in the borough’s towns are concerned. Coun Benton said members of all parties were aware of the importance of high streets where businesses faced new challenges due to changing shopping habits. “This motion seeks cross-party support to look at measures and proposals in a rational manner to see how we can support businesses on the high street,” he said. Coun Geraldine Carter (Con, Ryburn) said she thought it was important the council went out, spoke to and worked with small businesses. 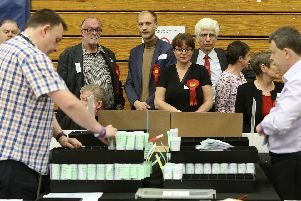 Labour initially proposed an amendment, and Coun Barry Collins (Lab, Illingworth and Mixenden) said support had been given to Calderdale towns through the setting up of Town Boards, such as Elland’s which had been excellently chaired by Coun John Ford (Con, Elland). Coun Collins said most of the proposals put forward by Coun Benton were constructive. 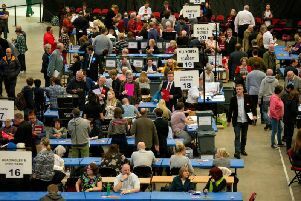 There was a sticking point over Coun Benton’s wording about £10 million Small Towns Fund cash because it was not yet available, said Coun Collins. In terms of Calderdale’s major town, Halifax, Coun Paul Bellenger (Lib Dem, Greetland and Stainland) said some tidying needed to be done with buildings in Princess Street suffering broken windows and lights. Both he and colleague Coun Marilyn Greenwood (Lib Dem, Greetland and Stainland) spoke about diversifying and enhancing its offer to bring people in. “We need to get people to leave the M62 and come into Halifax,” said Coun Bellenger. He said a lot of people had been visiting the town as a result of initiatives like the Piece Hall. Coun Carter suggested matching the original Conservative motion with Labour’s one change and Coun Collins agreed. It means councillors resolved to support the bid the council has made to the future High Streets Fund for Halifax and Elland on a cross-party basis. They also resolved to use any financial gain from the promised Comprehensive Spending Review by Government to bring forward the introduction of the £10 million Small Towns Fund, enabling early implementation of the local development plans now being prepared by town boards. Calderdale will also hold a “Calderdale High Streets Summit” to bring together retailers, property owners, business groups and other interested parties to set out a vision and discuss an approach to revitalising Calderdale’s town centres and also establish a cross-party working group. The group should consider the future of Calderdale’s high streets and how a range of council policies and factors including parking policy, travel, local amenity and the street scene as well as planning policy, business rates, renegeration spending and marketing can be used to support their regeneration and transformation.